For the fourth and final rotation of seasonal signature cocktails for weddings, your favorite Denver wedding planner Blue Linden is bringing it home with all the best fall-themed spirits. Our list of must-have fall cocktails will have you ready for sweater weather and pumpkin-spiced everything. And don't forget, the best part of the seasonal signature cocktail is giving it a clever, wedding-relevant name! 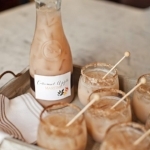 What says fall cocktails better than including apple cider in the mix? And while we're talking margaritas, we'll give you two seasonal signature cocktails to choose from! 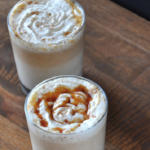 Continuing with the apple trend, the best fall desserts are definitely apple pie and caramel apples - so why not turn them into the perfect fall cocktails? 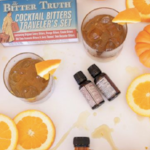 Pumpkin is the quintessential ingredient to make the perfect fall seasonal signature cocktail, and the recipes that called to us are ones that anybody would love to drink! Pumpkin Pie can make it in a fall cocktail, so why not pecan pie? And while we're at it, let's add a little something that reminds us of an adult scoop of vanilla ice cream! Put in fruits that have some of the best fall scents, and you've got the rest of the best seasonal signature cocktails we could find. These fall cocktails round together the full year of seasonal signature cocktails. Check out the other seasons - winter, spring, and summer - and let us know what you think by reaching out using the social media buttons below. We certainly hope you can find something for your event that will be sure to please the tastebuds of anyone attending! Sami (to those she knows and loves) holds a BA in English and freelance writes on anything that tickles her fancy, but she holds a special place in her soul for Blue Linden and its owner/operator Wanda. When Samantha is not writing to her little heart’s content, she’s reading (or knitting) like a mad woman, lovin’ on her furbaby Lucy, and soaking up every moment with her as husband as they travel the world together.